Though Nashville is known for its thriving music scene, no vacation here is complete without some incredible food! Embrace the city’s burgeoning culinary scene by getting to know some of the best restaurants in town. Some of our all-time favorite eateries are located on Church Street in Nashville. Below, we’ve compiled just a few of the Church Street restaurants you should try during your visit. Your taste buds won’t be disappointed! For more information about what you’ll see on Church Street in Nashville and beyond, be sure to download our free Travel Guide! 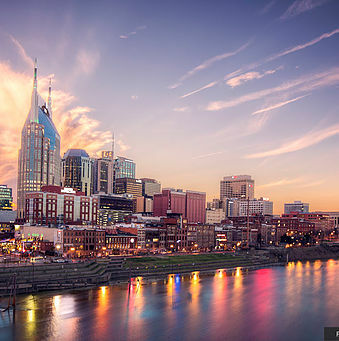 This comprehensive list of Music City attractions and activities has helped so many visitors cut their vacation planning time in half. It can help you, too! Smoked meats, signature Southern cuisine, and delicious drinks are all in plenty at Clyde’s on Church. This popular New American restaurant features a sports bar setting with TVs and gaming tables for your entertainment. You’ll find plush sofas, tables fashioned from old pinball machines, string lights, and movie posters at this Church Street gem. Clyde’s is a local favorite for smoked brisket, custom cocktails, and scrumptious craft beers. Be sure to stop in for lunch, dinner, or happy hour! Looking for some fresh Mexican fare on Church Street? Head to Oscar’s Taco Shop! This popular taco spot is a family-friendly favorite for Mexican cuisine. The bacon, egg, and cheese breakfast burrito is a great start to your day, while the chicken fajita is a popular lunch or dinner dish. The carne asada taco salad, chicken enchiladas, and shrimp quesadilla are also delicious! This two-story venue on Church Street in Nashville is known for its World War II and Civil War memorabilia. Located in The Arcade Nashville, 417 Union serves breakfast all day. What’s more? There’s even a full-service bar for mimosas and Bloody Marys! Classic Southern fare is also served here throughout the day for lunch and dinner. Enjoy some sinful chicken and waffles, a fried green tomato BLT, or some country ham! Puckett’s Grocery & Restaurant is a Southern bar and grill with an old general store atmosphere. This neighborhood eatery is also a popular venue for live music acts, ringing true to its Music City locale. 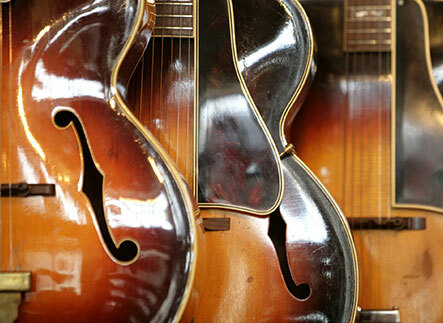 With roots in the 1950s, Puckett’s has some rich history serving Southern staples and authentic comfort food. We recommend indulging in some famous slow-smoked BBQ and fried chicken. There are a variety of hearty options that are sure to satisfy your hunger! Stay at Our Quarters Properties Near Church Street! All of our Playlist Properties vacation rentals located in The Quarters are within walking distance of some of the best restaurants in Nashville! Just a stone’s throw from the corner of 2nd Ave. N. and Church Street, The Quarters building features several of our gorgeous, modern lofts. 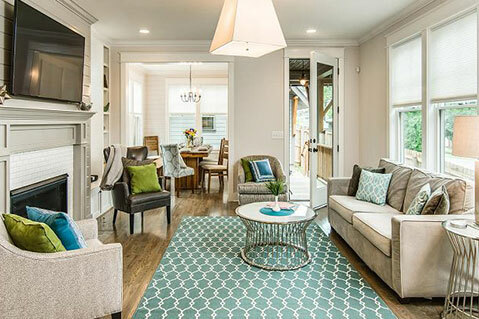 You’ll love our Loft on Second, a one-bedroom, one-bath loft that sleeps up to 3 guests. This super urban space features an open floor plan with granite countertops in the kitchen, stunning flooring, and lots of windows for natural light. You’ll love this rental’s pub seating, spacious living area, and unique views of downtown Nashville. The Artist’s Loft is another great option! 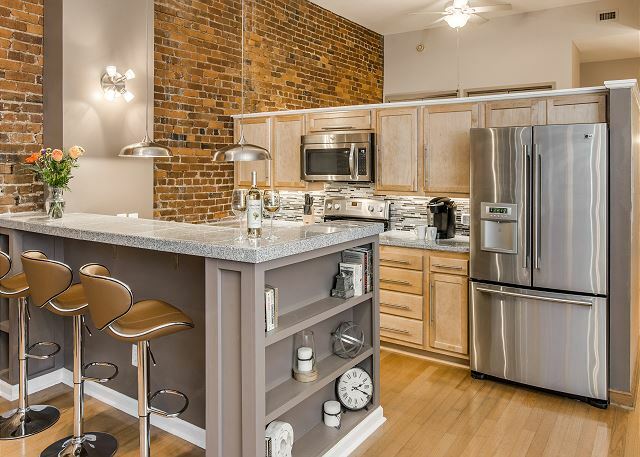 It features eclectic decor, chic flooring, and 100-year-old exposed brick that tells a story. Check our availability today to start planning your culinary tour of Nashville! We look forward to hosting you very soon.